Having already killed one approved pipeline (Northern Gateway) backed by former Prime Minister Harper, now natives have done it again to a pipeline backed by Prime Minister Trudeau. Northern Gateway was native legal win #231, and this one is native legal win is #264. I called the former win the ‘high water mark’ of native empowerment, since Northern Gateway was a fully approved project championed by Harper’s entire front bench. It went down in flames in mid-2016. Now, just two year later, natives make killing a pipeline look routine. It looks bad on Trudeau, because he had campaigned on deriding Harper’s handling of the duty to consult – now he gets to eat crow. His order in council has just been quashed (like Harper’s). This is why my first book is called Resource Rulers because natives are deciding the fate of resource projects right across Canada – and redrawing the map of Canada while they’re at it. I saw this coming. In fact, I have been holding back on my second book launch (ready to go for a month) because of this pending ruling. It’s called Resource Reckoning because that’s where we’re at as a country. We’re a G7 country at war with itself over access to resources! Trudeau tried to bolster consultation by sending out a roving three-person Commission to address any and all public concerns and deficiencies on the proposed Kinder Morgan pipeline. The Baird Panel was created by the PMO, indicating that the Liberal Government intended to do it right, after Northern Gateway’s duty to consult loss. But that still wasn’t enough to get the duty to consult over the finish line. The political decision to approve the project was deemed to be rushed. Natives took the lead in fighting the Kinder Morgan pipeline because their legal winning streak was peaking; which induced the eco-activists (et al) to line up behind them and let them do the heavy lifting. In all the merged agendas lined up in opposition, everyone knew that natives had the best shot at derailing this pipeline. Furthermore, this same alliance had already borne fruit. In early May, a delegation of pipeline opponents descended on Kinder Morgan’s Annual General Meeting in Houston where they got a dissident shareholder’s motion passed questioning the ‘sustainability of the pipeline project’. The vote hit the 51% threshold (likely higher) forcing management to consider its impact. This was obviously a body blow to senior management, because it was in the immediate aftermath that Kinder Morgan launched the notion that they wanted to sell off the project. In fact the AGM transpired on May 9, and by May 17 Canada’s Finance Minister was bragging that Ottawa’s involvement ‘wouldn’t cost Canadian taxpayers one cent’. 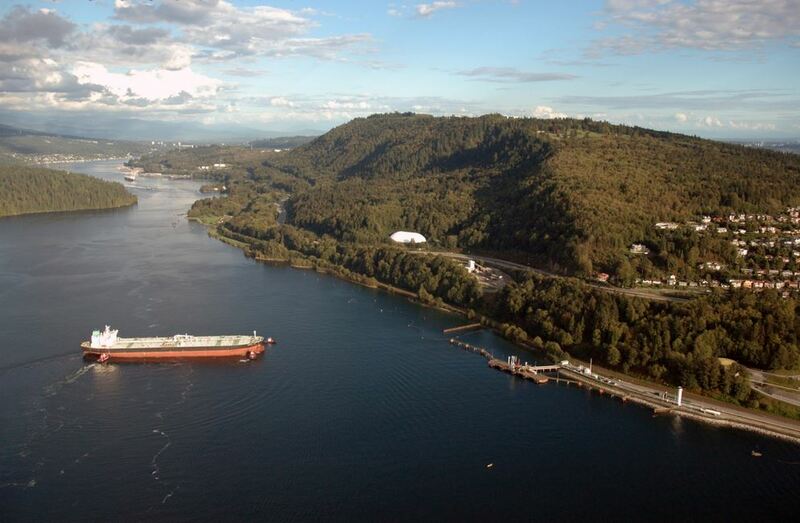 There’s a direct cause and effect, meaning that the native led alliance had already succeeded in ousting the proponent, Kinder Morgan, right out of the driver’s seat. I maintain that that event (the ouster of Kinder Morgan) was in itself, a major benchmark event in the rise of native empowerment. This milestone was accomplished in the run-up to the court ruling, meaning that strategically it had already served a vital purpose. 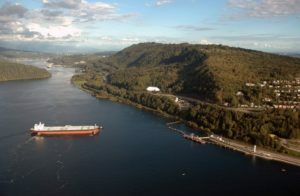 Kinder Morgan had lost interest in the project in spite of all its political backers and its own legal winning streak (some 17 interim rulings). Today, Kinder Morgan would be relieved that it sold ‘lock stock & barrel’ to the PMO, which explains why shareholders voted 99% in favour of the sale. Now it appears that they’re putting their remaining Canadian assets up for sale (like Cliffs did post Ring of Fire) (like Southwestern did post Rexton). What’s going on in Canada that sees us losing such solid, deep pocketed players in the face of entrenched native opposition and environmental pushback? I consider Canada’s ownership of the Kinder ‘Morneau’ pipeline project to be a ‘white elephant’. Its only chance of getting to tidewater now is if it offers a major equity position to natives, puts them on the Board of Directors, and includes them in the ranks of senior management. And even that’s a long shot.